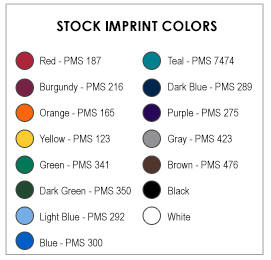 Choose your imprint color(s) out of the 15 available colorsPlease Note: Vinyl colors shown are approximate. Colors viewed are dependent upon type of monitor and monitor settings and will not match exactly.. We recommend choosing a color to contrast well with the color of the fabric. For example: black does not show up well on a royal blue table throw. 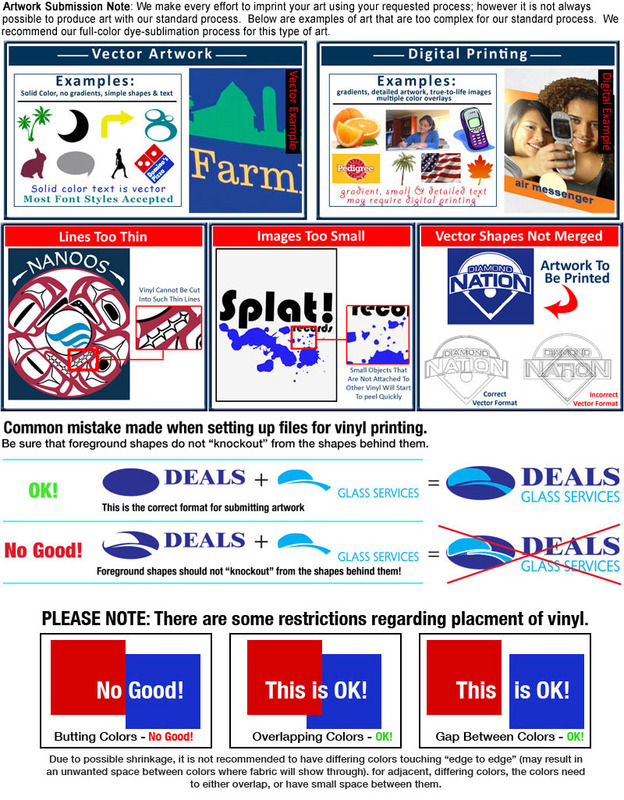 Your logo will be maximized within the imprint area unless indicated otherwise. The imprint area is centered on the front panel of the table throw or runner only. An e-proof is provided once artwork is approved. We provide some edit services. Depending on the artwork we may be able to convert the file for you for a fee. We only offer this service for certain table throws.